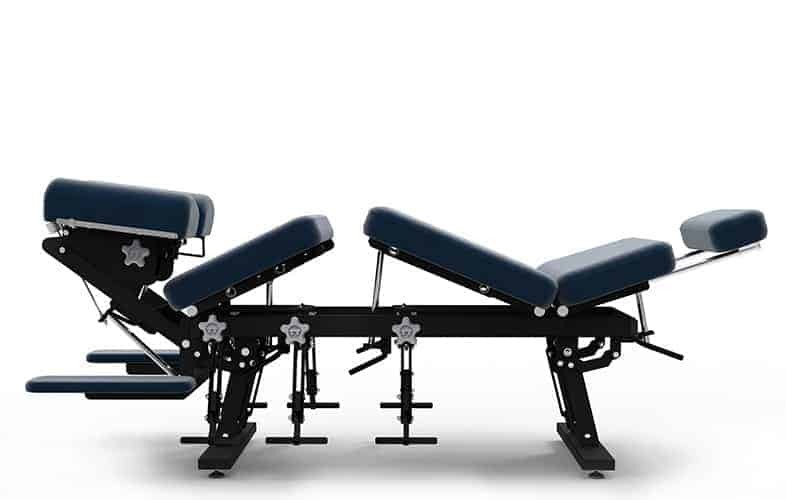 The Newly redesigned Techniques TT-400 Chiropractic Treatment Table offers better performance with smooth, quick, quiet and easier to engage drop sections, which derived through extensive research while participating in Thompson Technique Seminars. These treatment tables are ideal for any practitioner who does not require the need to continuously adjust the table height. 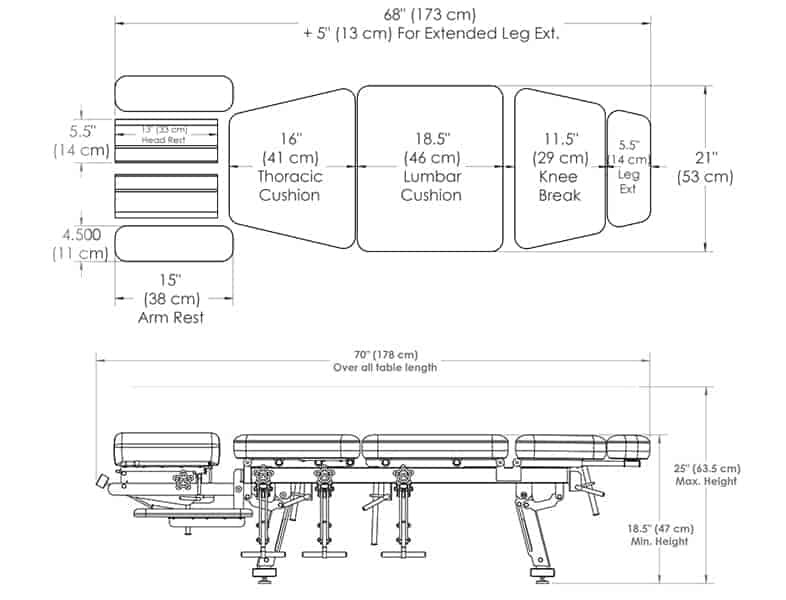 The table height can be manually adjusted to a height that best suits individual practitioners needs. All Techniques Tables are manufactured with the highest grade materials for durability and reliability. The new modern designed base along with welded steel construction make for a strong and sturdy frame. 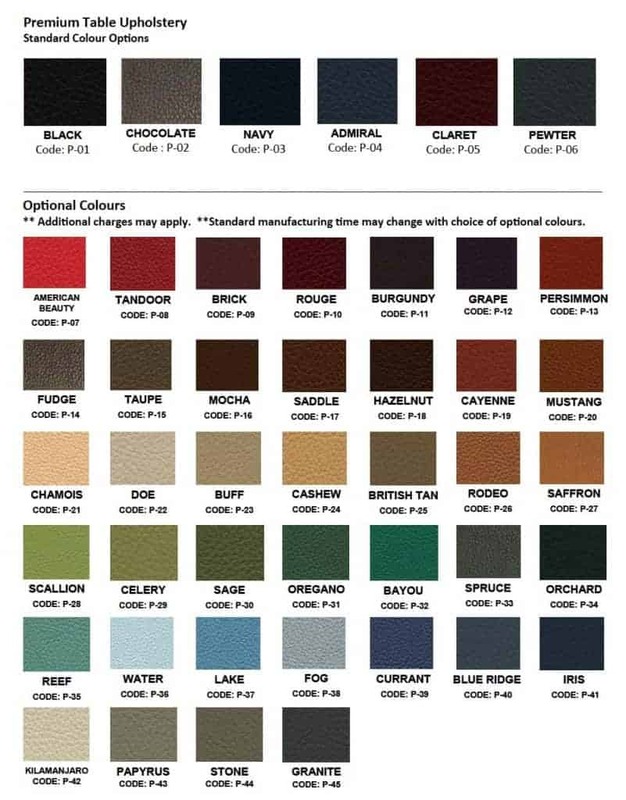 All cushions are made with a premium health care grade upholstery and high density foam allowing for minimal effort adjusting, while providing maximum patient comfort. 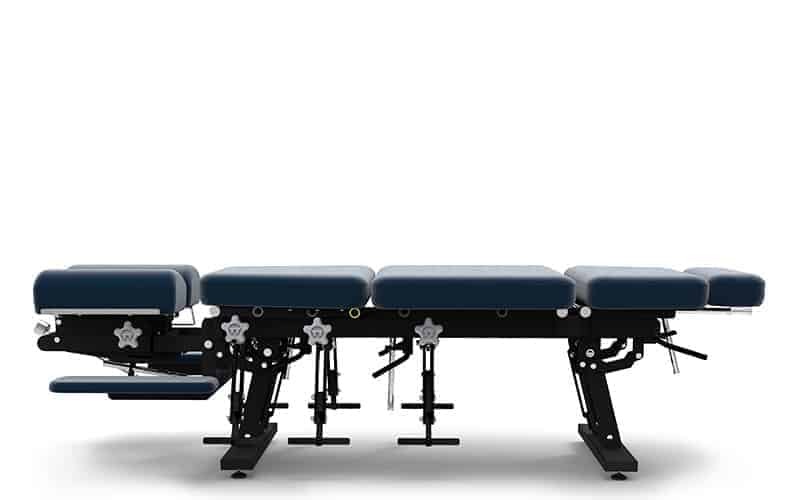 With many different features and options available, this table is suitable for many uses, such as Chiropractic, Osteopathic, Naturopathic, Acupuncture, ART and can also be customized to accommodate any health care practitioners needs. This stylish modern treatment table will enhance the appearance of any existing or new clinic. Which techniques table is for me?